Flying Dutchman Logan van Beek says he can’t wait to get his first taste of county cricket with Derbyshire. 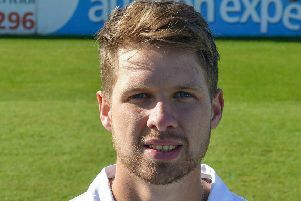 The 28-year-old all-rounder, who played for the Netherlands in the 2014 ICC T20 World Cup, has been snapped up by the county as their overseas player for the entire 2019 season. 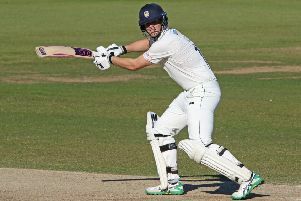 He said: “You look at different leagues around the world, and county cricket in England is always one that you want to play, so I feel fortunate to be in this position. “John Wright, who was Derbyshire’s director of cricket, spoke highly of me, and they were looking for a certain profile of cricketer. The link with Kiwi Wright stems from van Beek’s own New Zealand connections. Although he has a Dutch passport, he was born in New Zealand and has also represented that country at international level. But he actually helped the Netherlands beat the Kiwis in the 2014 T20 World Cup, and is particularly looking forward to helping Derbyshire in the Vitality Blast this summer. Van Beek was also a professional basketball player as a youngster, but his family is steeped in cricket history. His grandfather, a wicketkeeper/batsman, played for both the West Indies and New Zealand in the 1950s.